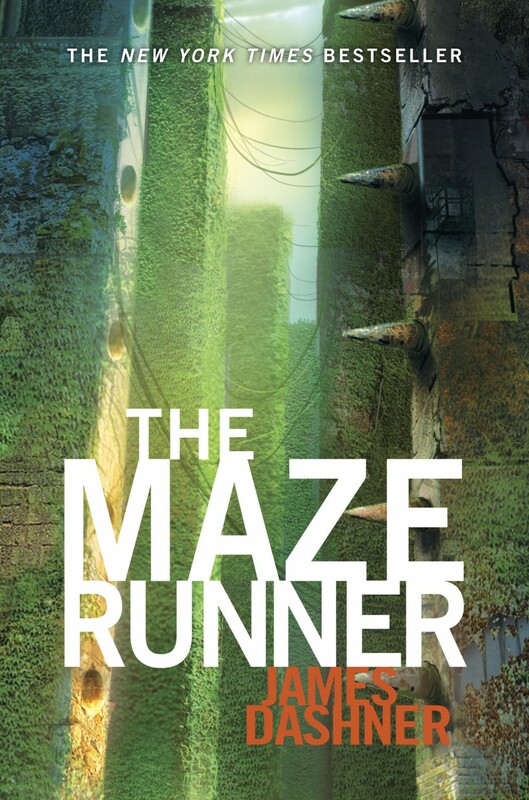 The Maze Runner is being adapted to film. It will be interesting to see how the slang is handled on-screen. But back to the topic at hand–when Thomas arrives in the Glade, his memories freshly wiped, he quickly learns that the residents of his new ‘home’ sprinkle their speech with their own unique slang, which he must learn in order to fit in. This is, of course one of the purposes of slang or jargon or “shibboleths”; to identify members of a social group, or to confer insider status to those “cool enough” to know the terminology and be able to use it correctly. If you don’t know the terminology at all, you’re a total outsider. If you know the terms but stumble finding acceptable contexts to use them in, you’re pretty clearly linguistically marked to those in the know as someone trying to fit in. Someone new. Someone who maybe hasn’t really earned their place in the group or carved out an identity yet. Someone like Thomas. The linguistic markers of social status might be even more important in a setting like the Glade, where there is very little to go on otherwise. For survival purposes, everyone is forced to share labor, food, and sleeping areas, nobody has access to ‘cool’ clothes or accessories, nobody can remember if they had famous parents or tournament trophies or straight As or a girlfriend before the Glade. Everyone has to start over finding a new social footing by navigating the new slang terms. The real reason for the Glader slang, of course, is so that the characters can curse in a manner that won’t be objectionable for a young audience to read. So it’s kind of disappointing, because the Glade-specific language conventions could have been more complex and interesting, and designed by the author in a way to give more insight to the community, but we’ll just have to be content with what we’ve got. I suppose that Grievers, Creators, Greenie, Sloppers, Runners, Keepers, Builders, Bricknicks, Baggers, Track-hoes, Slicers, and Med-jacks all count as Glader slang, but they’re pretty self-explanatory (if largely unnecessary), so I’m just going to focus on defining by examples “shank”, “klunk”, “shuck”, and “good that.” Thomas hesitantly uses the latter phrase during an exchange with his assigned buddy, where he also explicitly references the fact that he’s unfamiliar with the terminology. (I’m labeling this excerpt and all others to be included in this post,as well as including page numbers which are from the version with ISBN 978-0-375-89377-3). “Um, yeah, good that, I guess. Where’d all these weird words and phrases come from, anyway?” It seemed like they’d taken some other language and melded it with his own. Thomas’ observation isn’t very linguistically astute–come on, dude, it’s a handful of terms, not a melding of two phonetic, syntactic, morphological etc. systems, or “languages”. Acquiring Glader slang is a simple matter of observing the examples provided throughout the book. This term appears to be just a general term for “person”. It’s derogatory, (the neutral term for “person” is Glader and just refers to the fact that’s where they all live), but can be endearing, such as in (3). Perhaps most interestingly, Newt uses it in (9) to refer to the Creators, so it can apparently be used to refer to entities outside the Maze as well. (Go ahead and call each other shanks, Maze Runner fans!) Also interesting to note is the exchange in (7), which highlights the fact that Thomas is still acquiring Glade-speak, both in his pause before and over-emphasis of the term “shank” and in Newt’s response of laughing and referring to him as a “Greenie”. There’s also an example of “shank” in (15), under the section for “shuck”. (7) “Well, it’s kind of stupid to send me to a place where nothing makes sense and not answer my questions.” Thomas paused, surprised at himself. “Shank,” he added, throwing all the sarcasm he could into the syllable. Chuck provides a clear definition and an etymology for this term in (12). The usage in (10) is weird, (he’s a poo? Not “piece of klunk/poo”? Maybe klunk is a count noun, even though poo is a mass noun? ), and I think the construction is kind of forced because the author wanted to overwhelm Thomas (and readers) with as much slang as possible when the Box door opens. Also, note in (13) another explicit reference to Thomas’ acquisition of Glader slang. I think this was the most inconsistent of the Glader slang terms introduced in the book; it most often appears as the insult “shuck-face” (in examples (5) and (10) above as well as several below,) or the expletive “shuck it,” but in examples (23) and (24) it used as an adverb and verb participle, respectively. It seems obvious what real-world English expletive it’s substituting for, which is why it’s so weird that on page 334 Minho uses “freaking”, another PG derivative of the same real-world expletive, where presumably “shucking” would have been acceptable, especially judging by the example in (23). Minho’s utterance that Alby “freaking sacrificed himself for us–” is the only instance of “freaking” in the entire book, and seems out of place. The construction in (14) is another unusual example like the one in (10), and it also appears in the same scene of Thomas’ entry to the Glade. I don’t know why it doesn’t just say “shucking neck” instead of bare “shuck”, but there aren’t any examples (that I noticed) of “shucking” as an adverb. See also example (1) from above. This was my favorite, because it’s clearly a new construction whose correct use is crucial in ingratiating oneself with the Glade hierarchy, but it’s not actually new words. It signals agreement or consent. I never saw it used as a blanket positive, like somebody eating one of Frypan’s meals and declaring it “good that!”, which would have been fun, but then we’re not really given much non-plot-centric dialogue. I wasn’t paying much attention to instances of “slinthead” while I read, so I don’t know if I am missing some, but it appears to be an insult. As for “slim”, I don’t remember seeing it anywhere except as an order to Thomas from Alby when he first arrives in the Glade (27). I am curious to know whether the slang persists in the sequel, The Kill Order, since by the end of The Maze Runner the main characters have escaped the maze and are in a different setting surrounded by strangers. It would be my guess that Glader slang would become even more important in this situation, as a way for the boys to self-identify as a cohesive group when their circumstances no longer reflect it so obviously. On the other hand, some of the boys might drop the slang or pick up/invent new slang as a way to reject having the identity of test-subject Glader forced upon them, or as a way to try to gain access to a new social group, if they decide they identify with their “rescuers”, or with WICKED. Either way, though, I don’t think I’m actually curious enough to read the second book. *update* For those interested, Grammar Girl has posted an interview with author James Dashner on the subject of Maze Runner slang.